In this podcast, we will be discussing the book Spymistress: The True Story of the Greatest Female Secret Agent of World War II, by William Stevenson. We meet Vera Atkins, a British spy. Vera’s work has never been given the same spotlight as that of other spies or resistance fighters who were part of the war effort. Perhaps that is because she was a woman in a man’s world, or perhaps it is due to a controversy that surrounds her involving the collapse of one of the networks of spies in France. ... Más informaciones Either way, what there is no controversy about is that she was one of the most important Allied spies and that she was indirectly and directly responsible for the training and success of many of the resistance fighters in German-occupied France. On a more humorous side note, it is also believed that Vera is the basis for the Miss Moneypenny character in Ian Flemming’s James Bond novels. 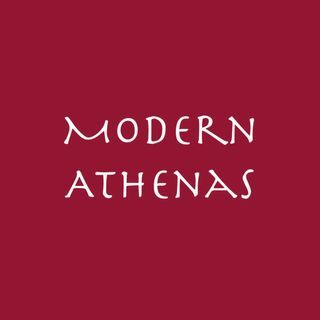 Visit www.modernathenas.com for links to all episodes. Subscribe to our podcast on iTunes, Stitcher, Google Play or YouTube. Send us feedback or leave a review! Thanks for listening. Thanks for listening and sharing in the conversation!